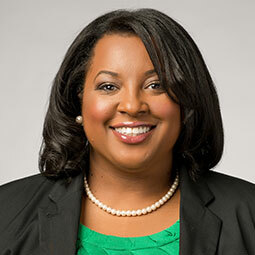 Junior League of Columbia member, Sheila Willis, has been named a 2019 recipient of the Compleat Lawyer Award. Sheila is an associate at Fisher & Phillips LLP in Columbia and a 2011 alumna of the University of South Carolina School of Law. In JLC, Sheila serves as a member of the Nominating Committee and previously served two years as the league’s attorney. In addition to JLC, Sheila is involved in various professional and community activities. She is a past president and is on the Board of Directors for the South Carolina Women Lawyers’ Association (SCWLA). She also is very active in the South Carolina Bar Young Lawyers’ Division, serving as its president- elect; the Board of Directors for Columbia – Society for Human Resource Management (SHRM); the Richland County Bar, and American Bar Association. The Compleat Lawyer Award, established in 1992, is the law school’s highest recognition of professional achievement and civic leadership. Recipients are nominated by members of the S.C. Bar or the public and are selected by a committee including the chief justice of the state Supreme Court, the chief judge of the S.C. Court of Appeals, the president of the S.C. Bar, the School of Law dean and the co-chair of the Law School Alumni Council.